SOLIDWORKS 2019 is here. Are you Ready? 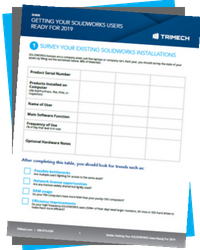 After completing the guide, you will be able to quickly analyze user trends, weigh licensing options, prepare for 2019 upgrade requirements and easily access training or launch resources.